In late December last year, a small collection of original art panels was sold on Heritage Auctions. 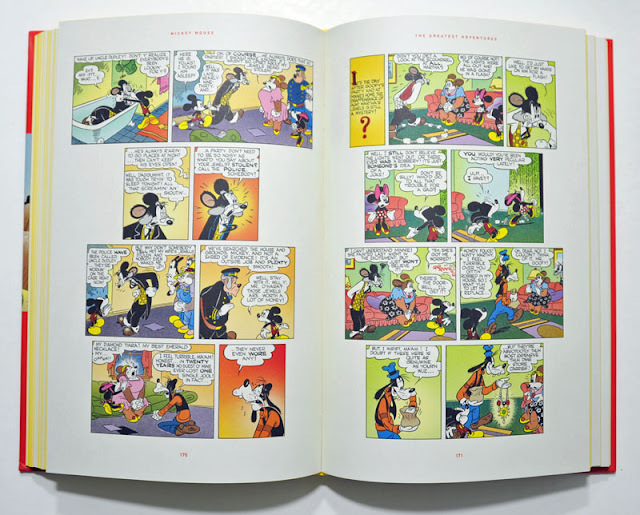 The panels were from various Disney artist including Paul Murry, Al Hubbard, Tony Strobl and one single panel by Carl Barks. And the Barks panel turned out to be a panel cut from a one-pager he did for Uncle Scrooge #22, and never before seen on print! It didn't take long for a restored version of the one-pager to get published, and we saw the newly discovered panel on print for the first time this February in the Swedish Kalle Anka Extra. 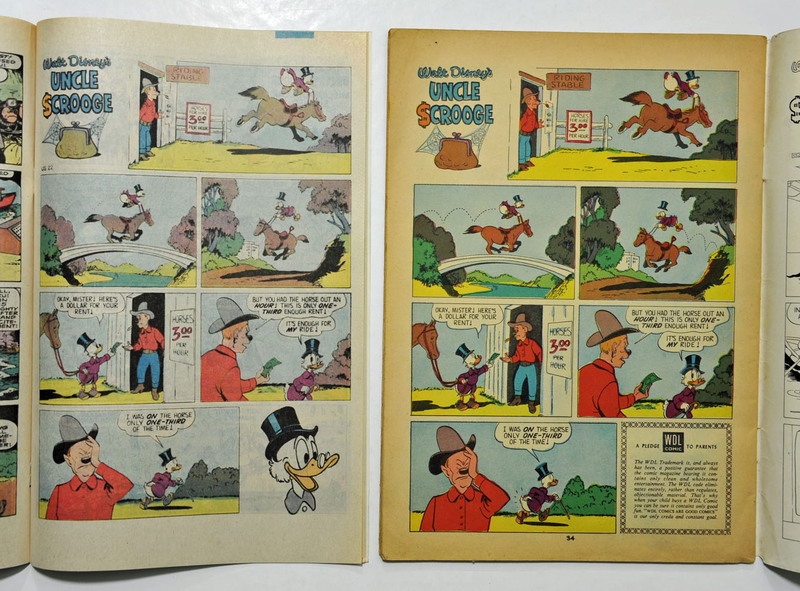 Under is a comparison of the page as originally printed in Uncle Scrooge #22 and the restored page in Kalle Anka Extra #1/2019. 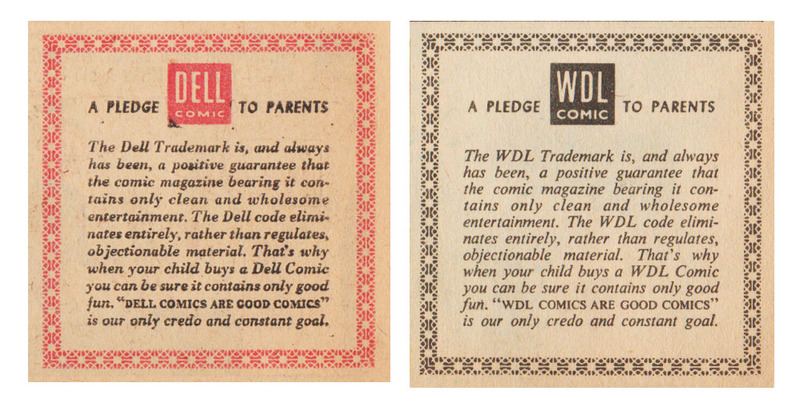 As you can see, the panel got cut to make space for the "Dell pledge to parents" in US #22. 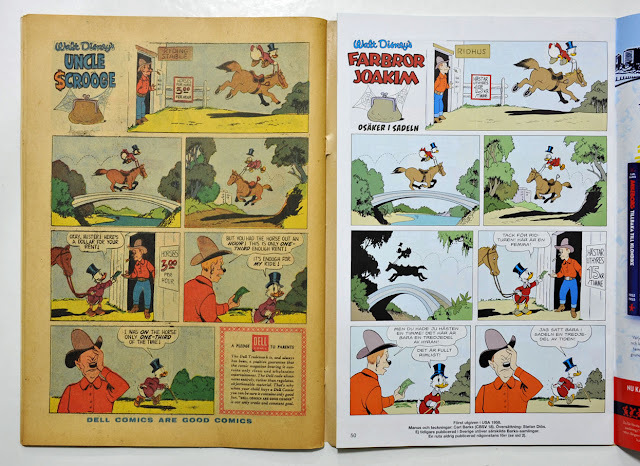 Also, it looks like the last panel was slightly extended for the original print (probably by another artist than Barks), and that panel had to be cropped a bit for the restored layout. I tried to look closely at the last panel as printed in the Carl Barks library from Another Rainbow (in black and white), and it's hard to tell exactly what part of the panel has been extended. But I guess the Swedish restoration is pretty close to the original as drawn by Carl Barks. 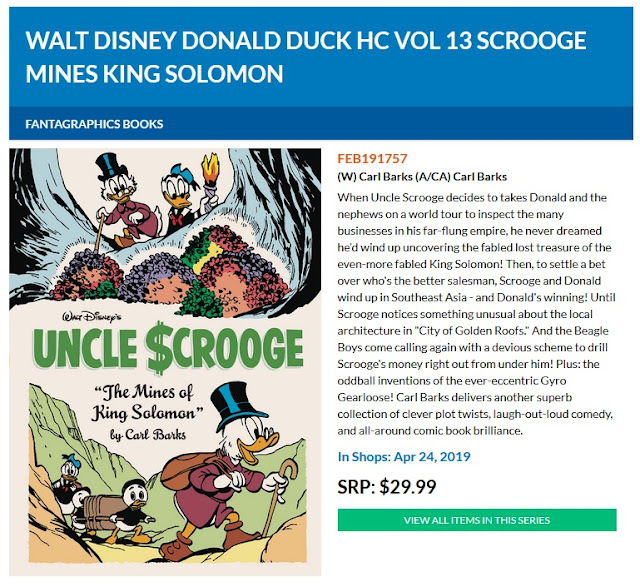 The Swedish issue might not be that easy to obtain around the world, but rumor has it that the restored page will be printed in Fantagraphics' book The Mines of King Solomon that will be on sale in comic shops next week. 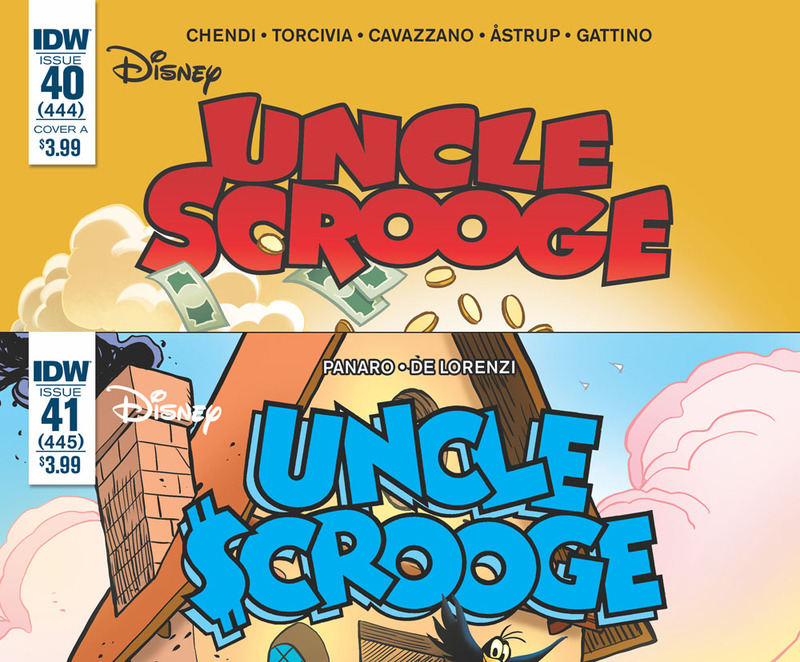 After a few months hiatus while the "Uncle Scrooge: My First Millions" mini-series was published, the regular Uncle Scrooge title is now back continuing the old numbering. New this time is that the logo is changed again. But the logo is not completely new, it's the same one as used by Walt Disney Publications in the early 90's when they published the Uncle Scrooge title from #243 to #280. I don't have any opinion about which one is best, both look fine to me. 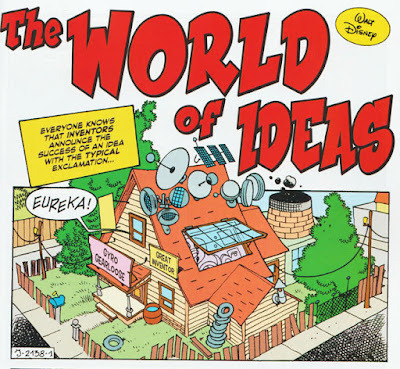 I'm just glad the regular ongoing title is back again. 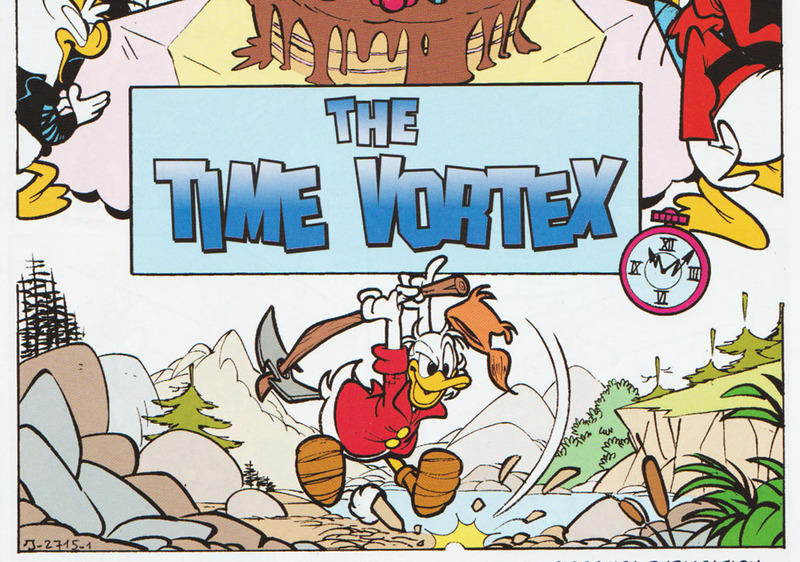 In Uncle Scrooge #445 we got "The Time Vortex" (or is it "The Vortex of Time" like the table of contents say? ); a story with Magica going back in time to Scrooge's Klondike days. 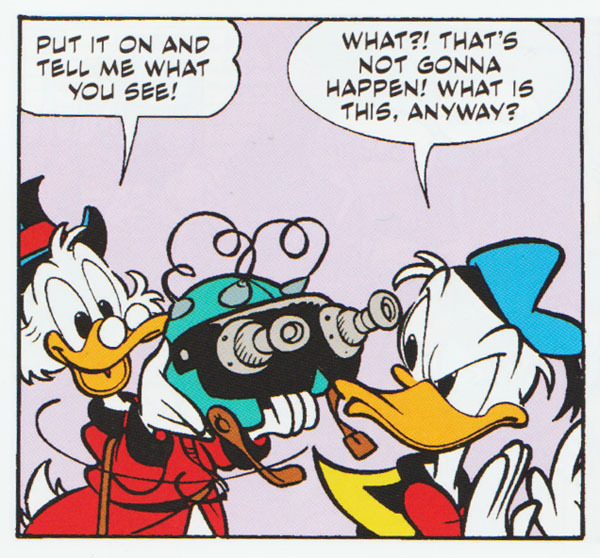 We get to see both Soapy Slick and Goldie and there's several other references to Barks and Don Rosa stories. 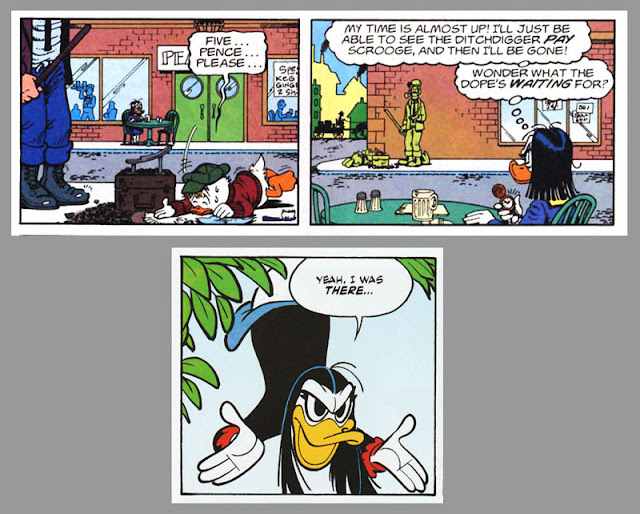 The next panel after the shoe shining scene and where Magica say "Yeah, I was there…" is a reference to "Of Ducks and Dimes and Destinies". 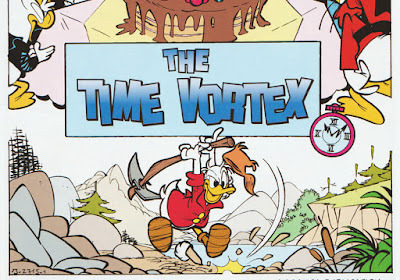 But according to writer Carlo Panaro, he hadn't read that story before writing The Time Vortex, so I wonder if this got added in translation. A nice reference either way. In Uncle Scrooge #456 we have The World of Ideas, a story with Scrooge taking advantage of Gyro's latest invention to make more money. But things might not go exactly like planned. It's a nice little story but not too memorable. 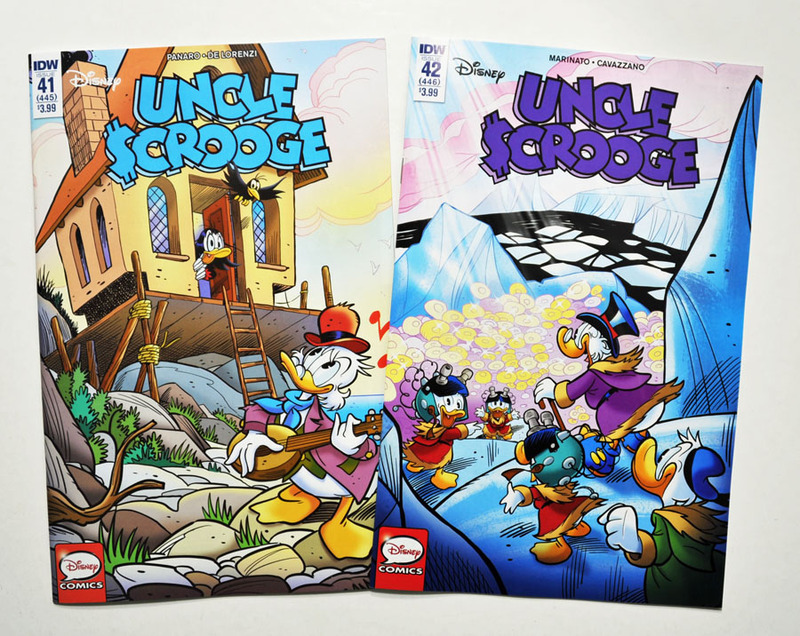 Both new issues of Uncle Scrooge only have one long story, and no backup stories at the end. 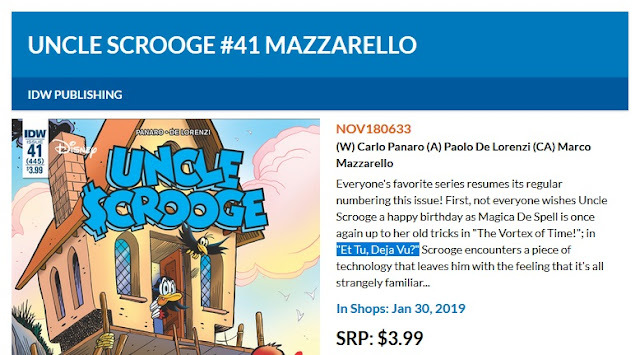 Checking the Previews catalog it looks like they planned to have "Et Tu, Deja Vu?" 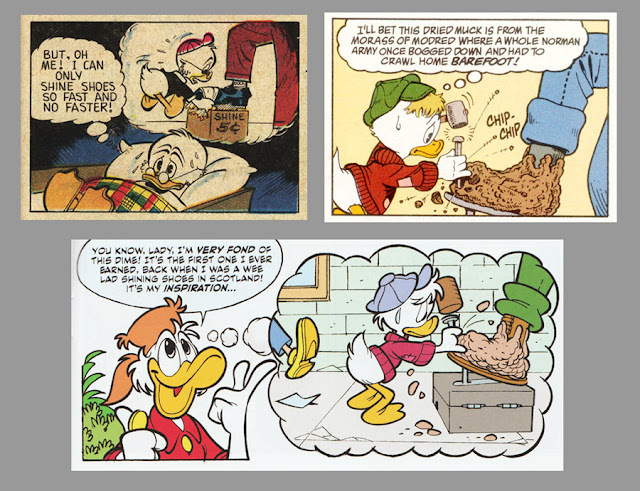 in #445 and "Fast Food Duck" in #446 – but that didn't happen. 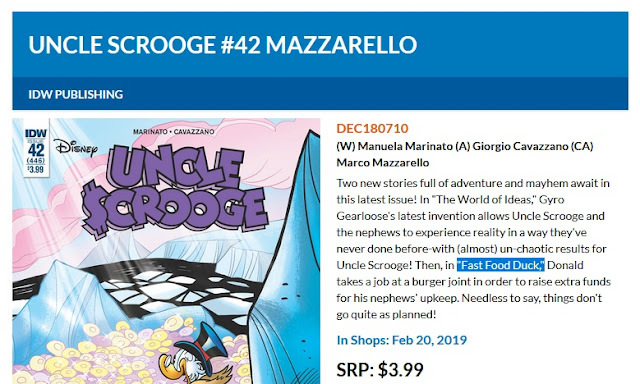 The two new issues also have a few pages less that we used to have (36 pages with 30 comic pages in #445 and 32 pages with 26 comic pages in #446). "Disney Afternoon Giant" and versions of "Rightful Owners"
When IDW changed the lineup of Disney comics at the end of last year, one of the new series we saw was "Disney Afternoon Giant". 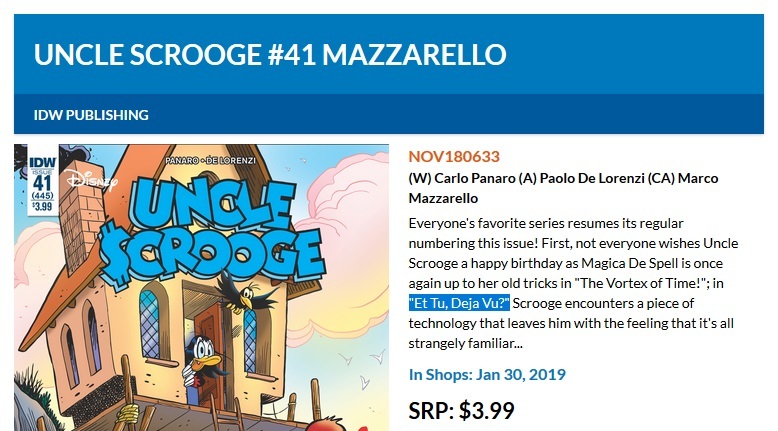 I am a bit surprised IDW would do this series, not really because of the title, but more of the content. 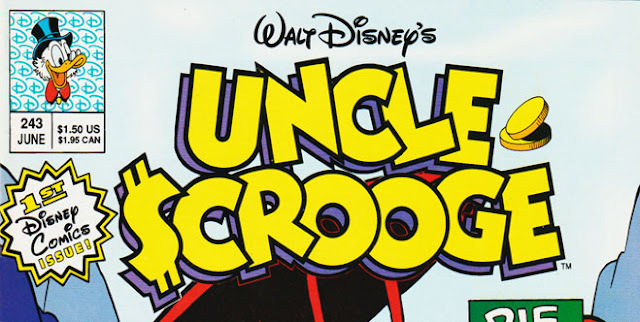 A lot of people growing up in the 90's loved the Disney Afternoon animated series on TV and I guess this can (could have been) be a nostalgic series for those. 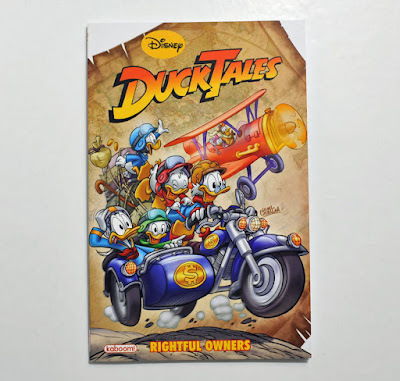 Kids these days probably have no idea what "Disney Afternoon" is all about, but people growing up with the TV-series might have kids of their own now, and could see something they once loved and pick it up for their kids. 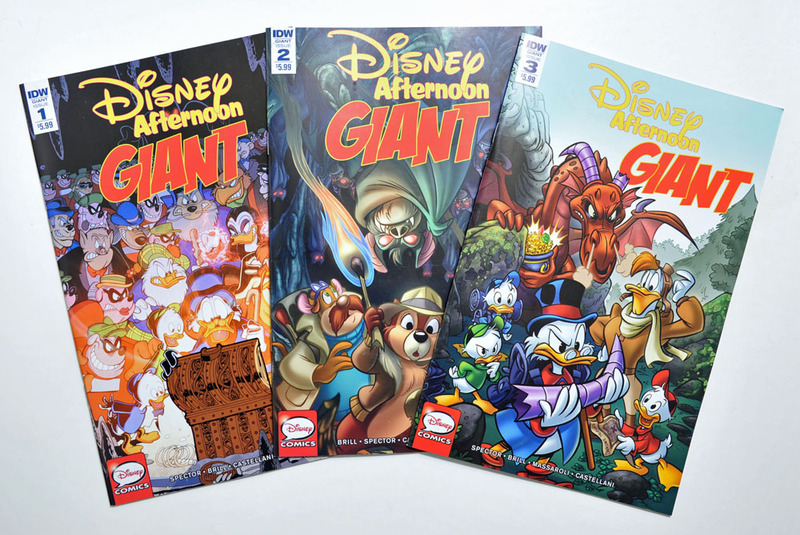 But the new series is just a reprint of stories from the last time we saw Disney Afternoon comics in the shop. 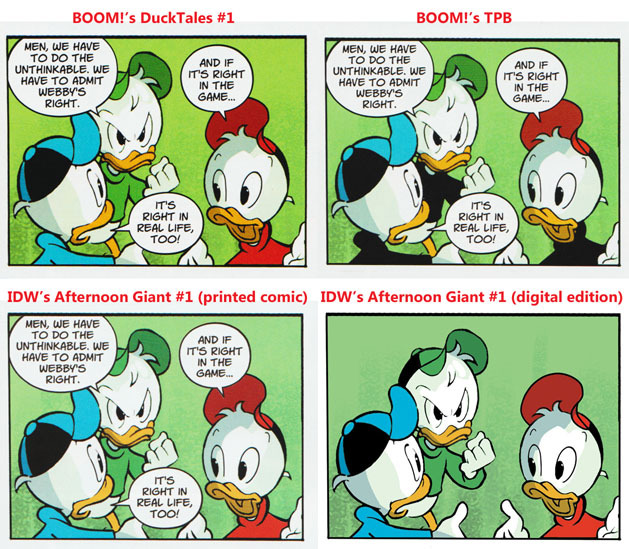 They were originally published by BOOM! In 2010/2011, and I guess most people being a Disney Afternoon fan now, was a fan back then too. 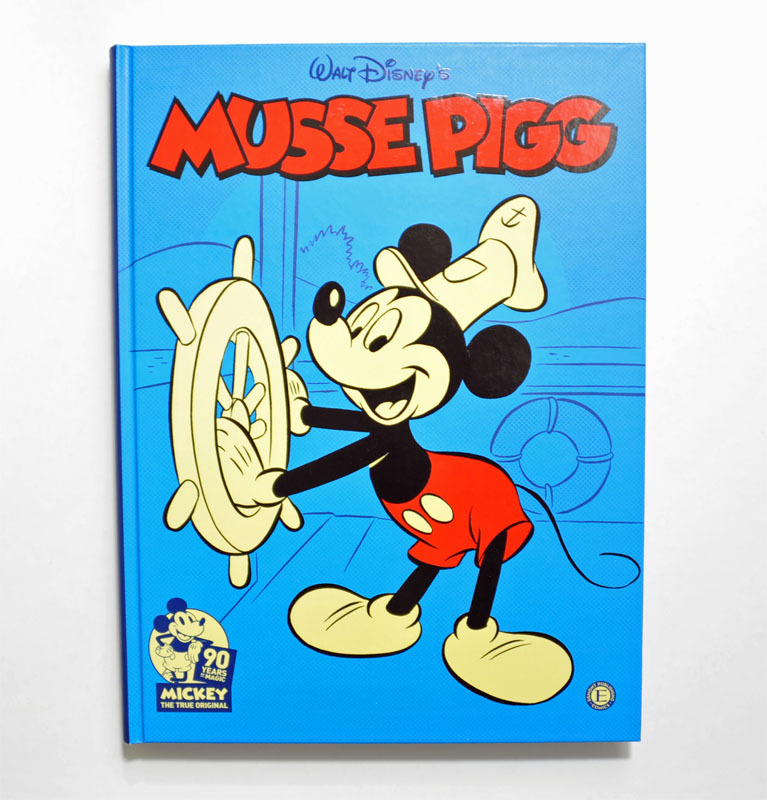 So there's nothing new or exciting about the new series - it's simply a reprint of not-so-old material. The first issues of the new IDW series have the DuckTales serial Rightful Owners and Worldwide Rescue with Chip 'n' Dale Rescue Rangers. The early solicitation text in the Previews catalog mentioned Darkwing Duck too, but we have yet to see any stories with him in the new series. The 3rd issue from IDW is on sale right now and have the 3rd part of "Rightful Owners" that got a lot of attention the first time it was published. 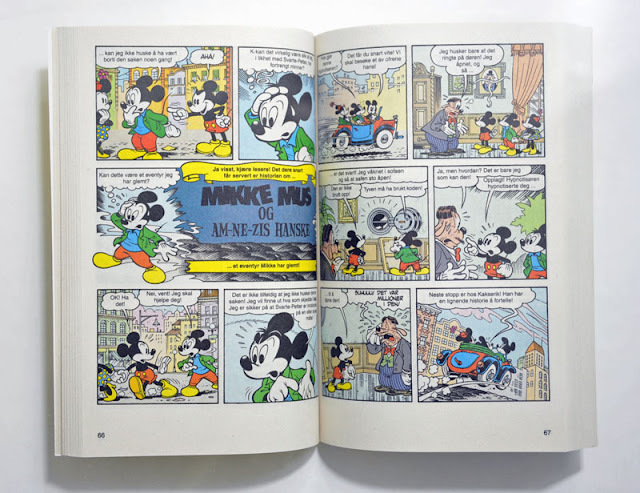 The series was printed in four parts by BOOM! (under the name "kaboom!" 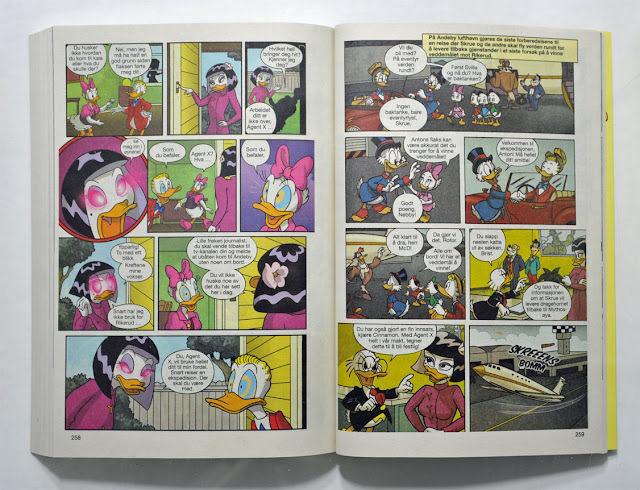 for a little while) in 2011, and later collected in a TPB. Original comics with "Rightful Owners"
BOOM! 's issue #3 got rushed out and had an unfinished version of the story printed, where one page was not properly colored and another just had a bunch of clip-and-paste art to replace unfinished artwork! Other pages had arguably very bad artwork too. This didn't get by unnoticed by fans and we had blogs and forum discussions telling how bad things were. 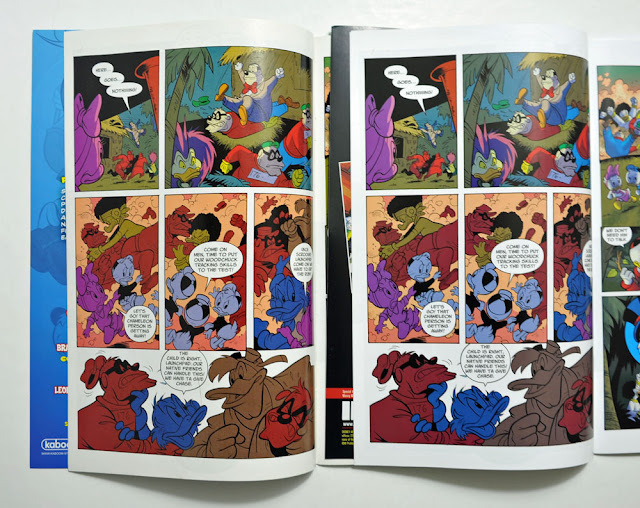 In the trade paperback however, the coloring was finished and the clip-and-paste art got replaced by a properly drawn page. See the comparison below. 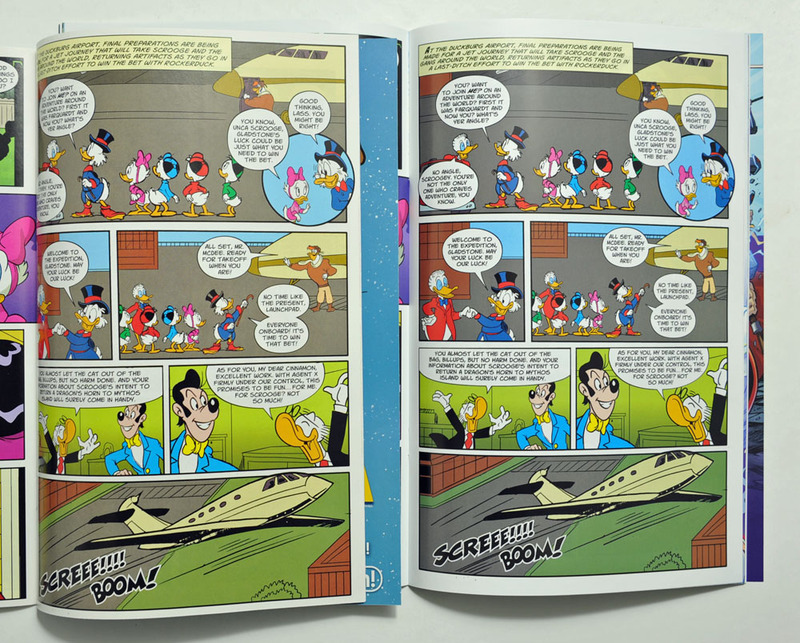 And now for the big question, how does the same pages look in the IDW print? Well, you can see for yourself blow. 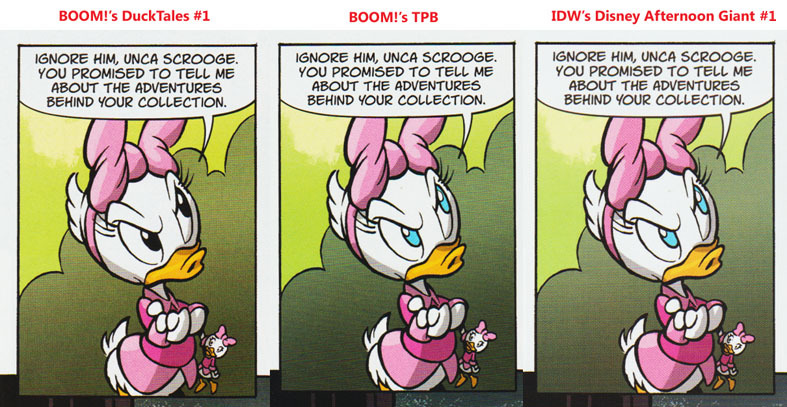 For some reason IDW actually used the unfinished version of the story as printed in BOOM! 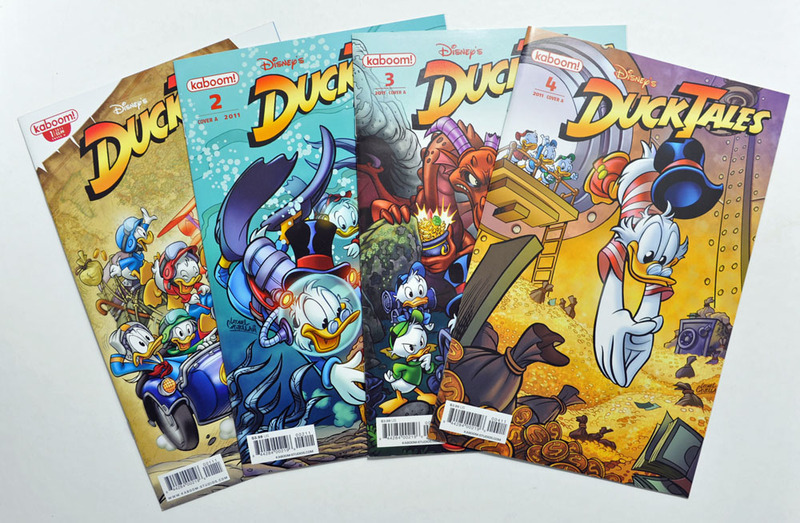 's DuckTales #3! 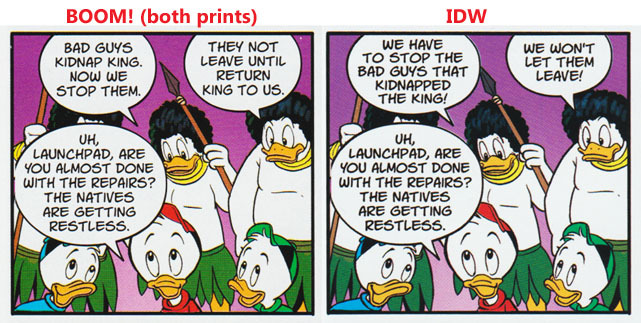 If they plan on doing a trade collecting the story, I hope someone tells the editors about this so they can track down the proper version. From the comments on this post I was made aware of changes to the first part of "Rightful Owners" too, and did some comparisons. You can see more examples on squeakyboots13's twitter. 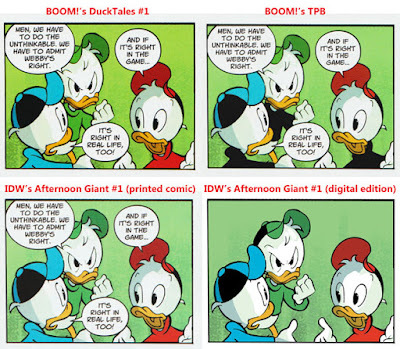 The two examples above are both from the first part of the story, and as you can see the in the first one BOOM! 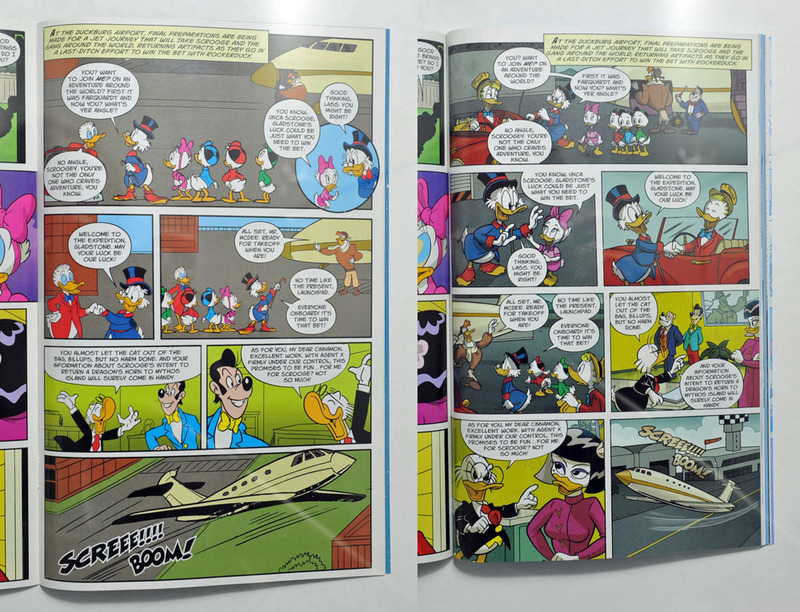 's TPB and IDW's version have the same coloring, while in the second both BOOM! 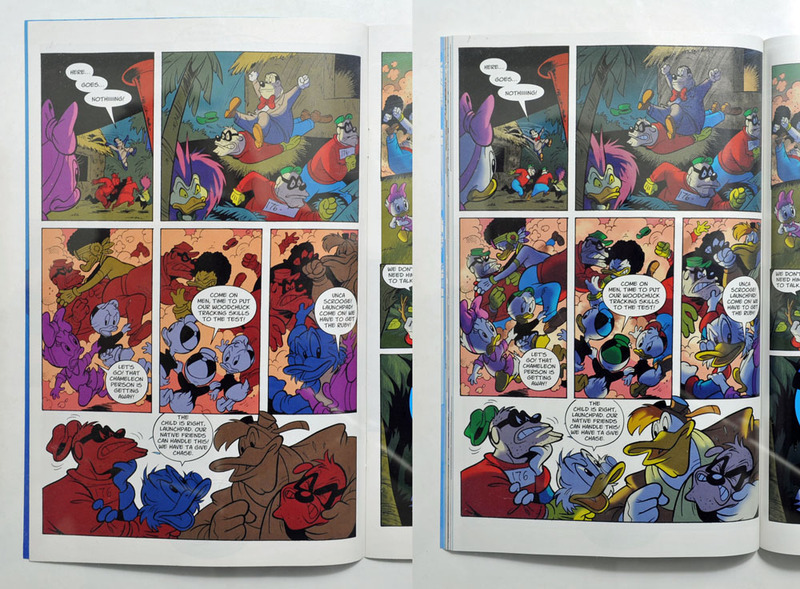 prints have the same coloring while the IDW one is different. So there's three different color edits for the first part. 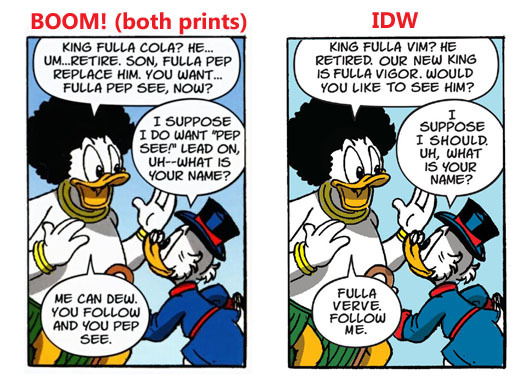 In the prints where Webby's eyes are blue, this is not the case for the whole story just in a few panels – so I guess this is an error and not intentional. In the TPB we also have a panel with the nephew's clothes colored black. 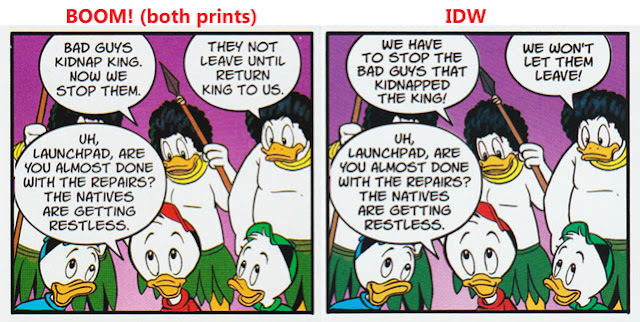 But they are not in the rest of the story, so this is also an error. But it's a bit strange that we didn't see the same error in the first print. 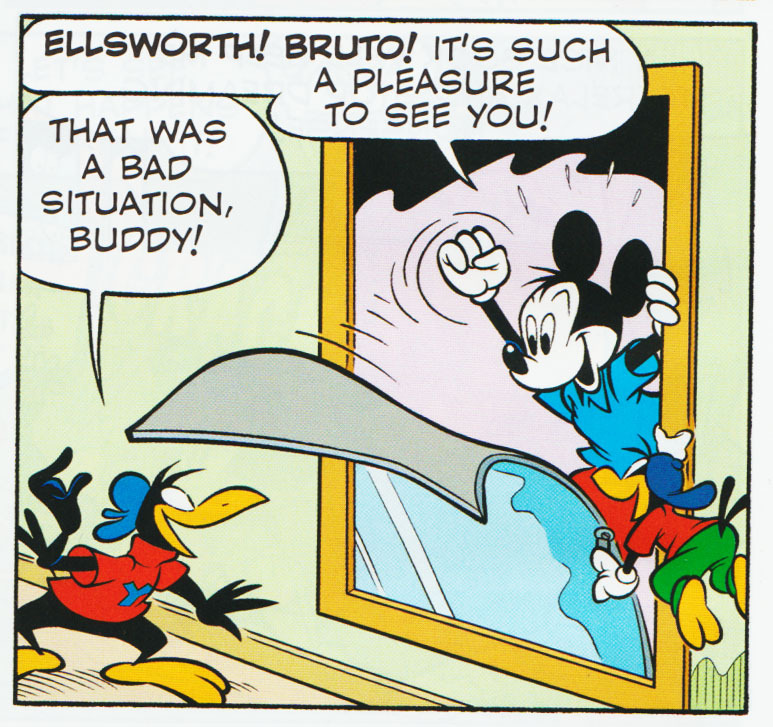 In IDW's digital edition the entire page with this panel is missing the dialogue. 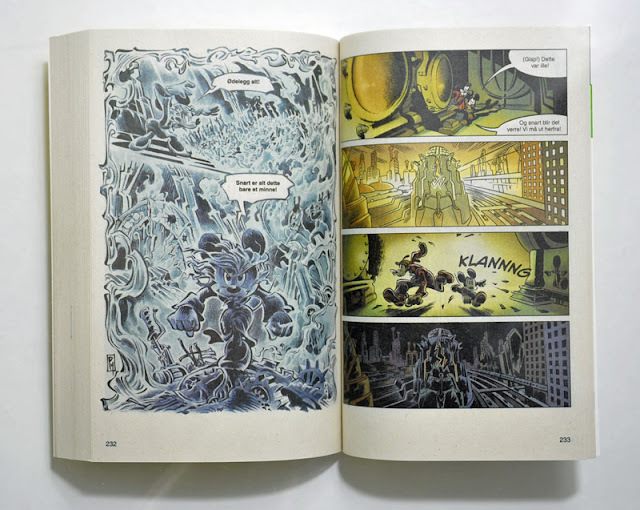 This tells us that the story is created with the speech balloons as a different layer above the artwork, and not as part of the art. This makes it easier to make adjustments when translating the story. 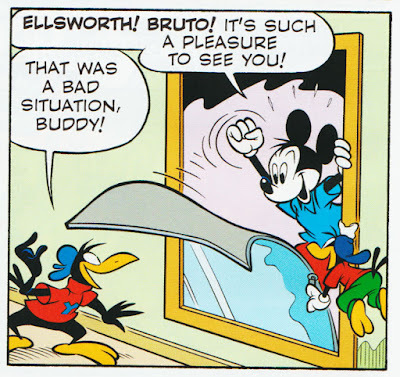 The dialogue also has minor changes in all parts. Above we can see the soda names are changed in IDW's version. The native's language is also changed to proper English, probably to not sound offensive. 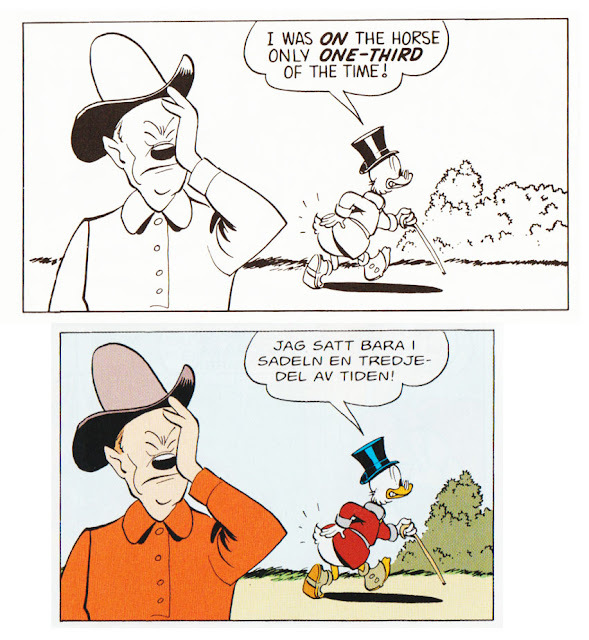 I also have a Norwegian print of the same story. 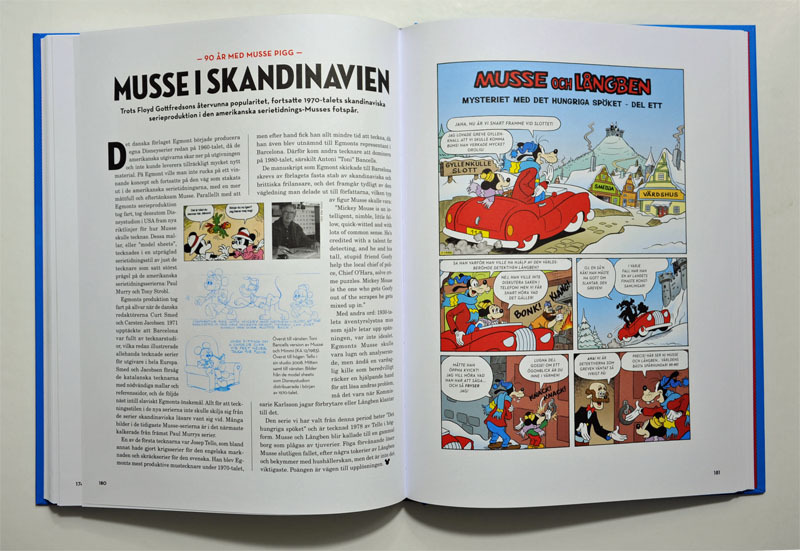 I'm not going to bother with a detailed comparison with that edition, but the Norwegian print did use the page with finished artwork not used by IDW – and it shouldn't be too hard to get hold of. 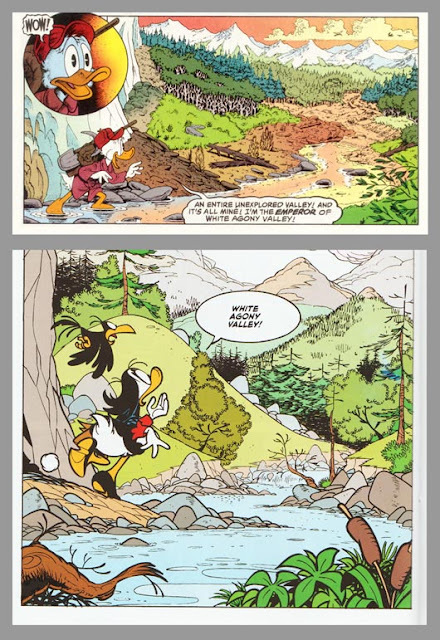 Norwegian print with the finihed artwork in part 3. 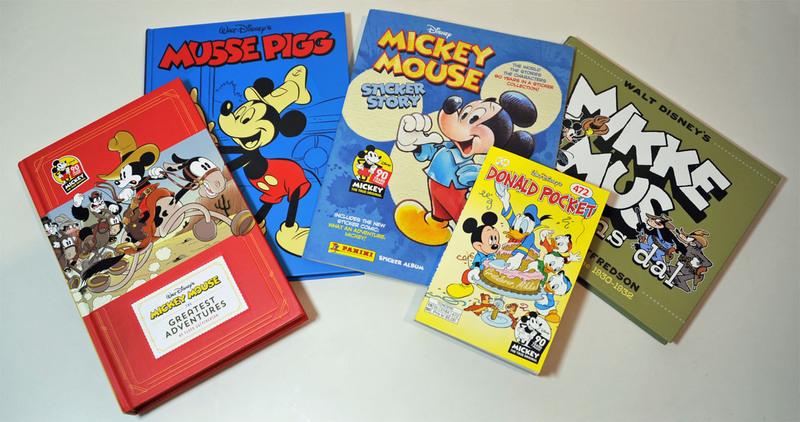 If you prefer to get trade paperbacks rather than the single-issue comic books, it can be a challenge trying to follow the IDW ones. They do not have any volume numbering and some have a "Donald and Mickey" logo or a "Mickey and Donald" logo even if the comics they collect does not. 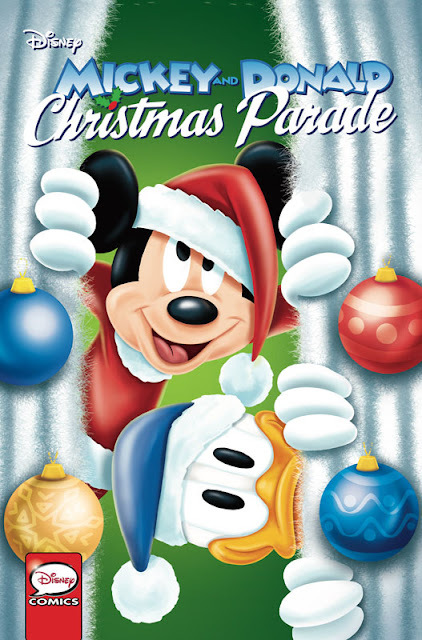 Here are some notes about the recent Christmas Parade TPB in case more of you are confused about that one. 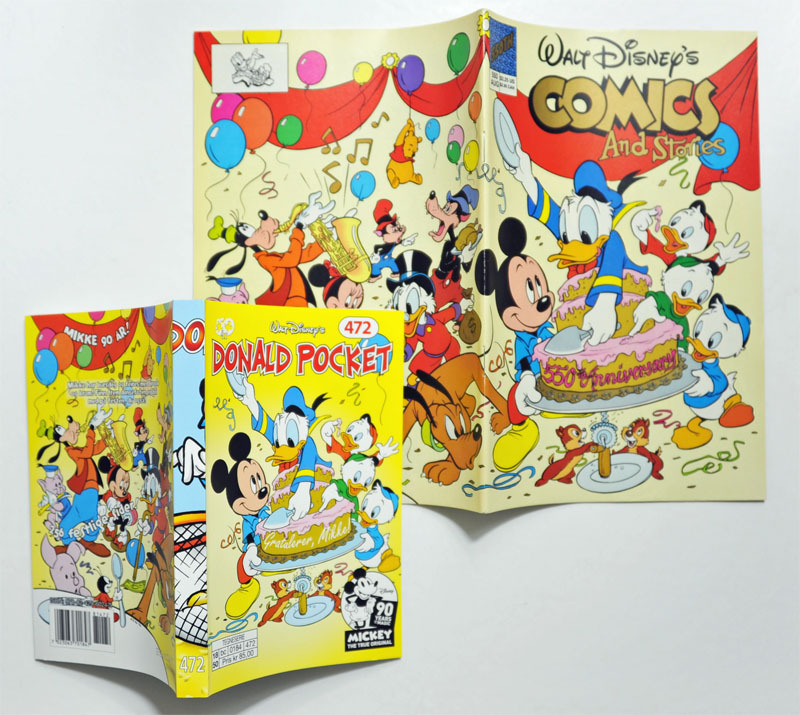 When I write TPB in this post I mean "trade paperback", and WDCS is "Walt Disney's Comics and Stories". 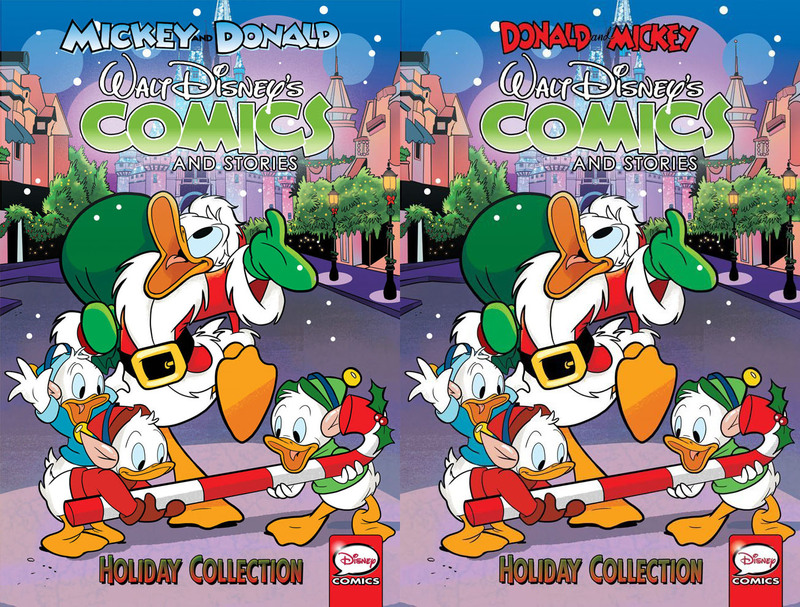 All the way back in August 2016 we got a book called Donald and Mickey: The Walt Disney's Comics and Stories Holiday Collection listed in the Previews catalog (order code AUG160522, ISBN 978-1-63140-729-1). This trade was originally listed for an October release the same year but went through several delays where the last update said June 28, 2017. 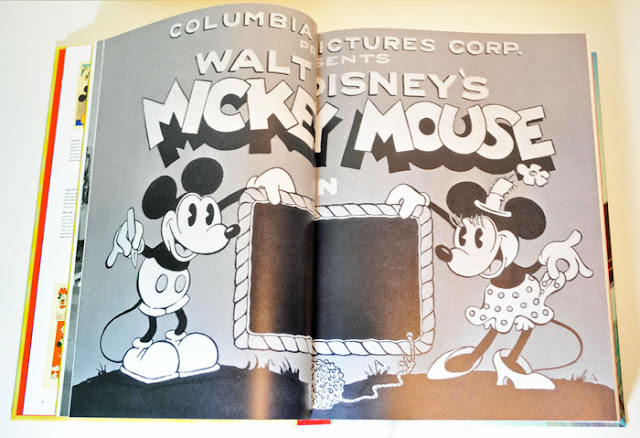 We saw two different pre-release covers for this book, with both the "Donald and Mickey" logo and the "Mickey and Donald" logo. As we can read from the final update from the distributor, this TPB was supposed to collect the first Christmas Parade from IDW, the first Halloween Scream and backup stories from WDCS #727-732. 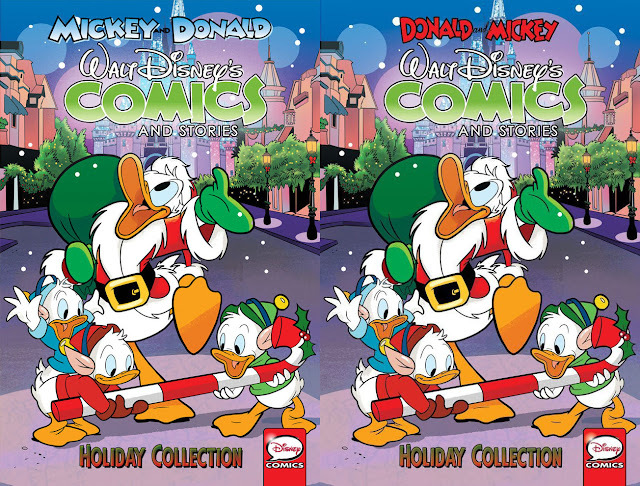 Final update of the Previews listing for the planned but cancelled "Holiday Collection"
Well, this never happened and the book got cancelled in 2017. In the June 2018 Previews catalog, we saw another TBP being listed, this time as Mickey and Donald: Christmas Parade (order code JUN180710, ISBN 978-1-68405-324-7) – but using the same pre-release cover as the previous cancelled one. The first listed cover was identical to the previous one but without the "Holiday Collection" text, and later this was changed to the Christmas Parade logo. 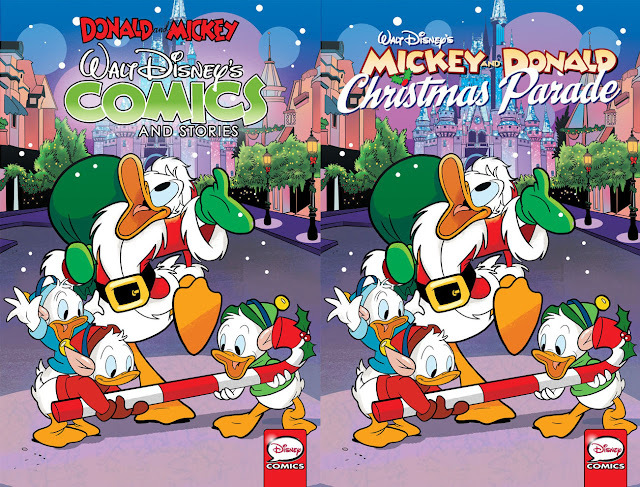 And this one does not have the content originally planned for the canceled "Holiday Collection", but collects IDW's Christmas Parade #1 and #2. * The Search for the Zodiac Stone serial in WDCS #721 to 732 did not get collected in trades, but all parts are collected in a nice hardcover instead. 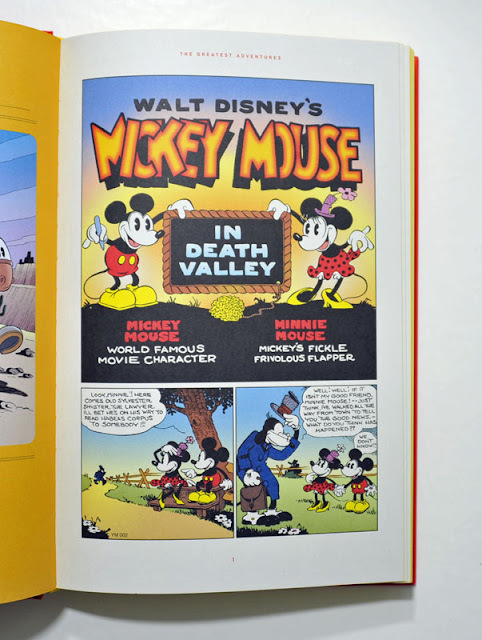 * The backup stories in WDCS #727 to 732 are not collected in any TPB's, but they are all collected in the Walt Disney's Comics and Stories Vault hardcover. I don't expect any of these to be in any future trades. * Halloween Scream #1 and #2 and Giant Halloween Hex #1 and #2 are not collected in any TPB (or hardcover). But I wouldn't be surprised if we saw one next autumn. 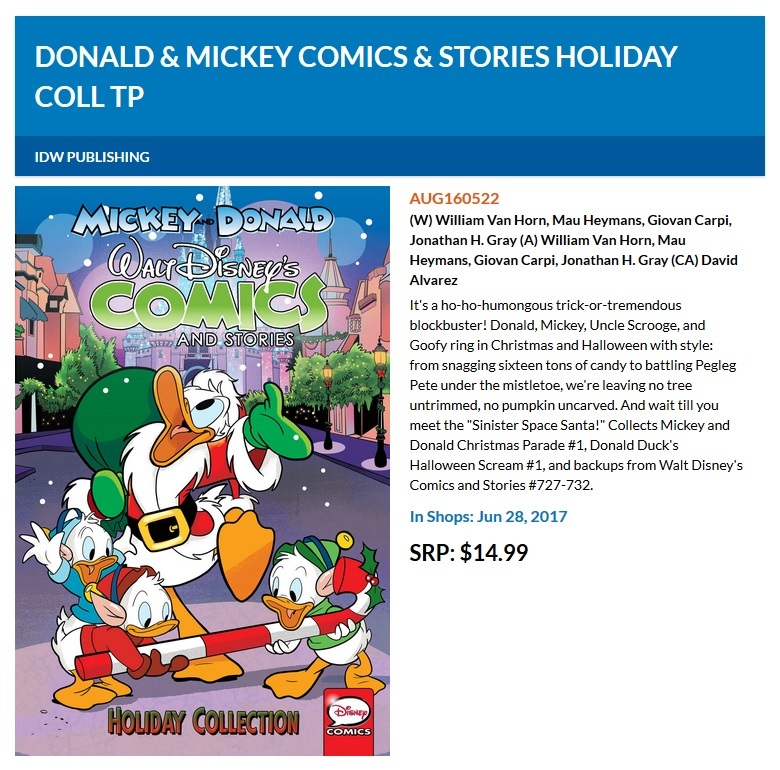 * Donald and Mickey #3 and #4 are not collected in any TPB or hardcovers, and as we haven't seen any yet – I don't think they will be. So they might be nice to pick up even if you usually get the TPB's. 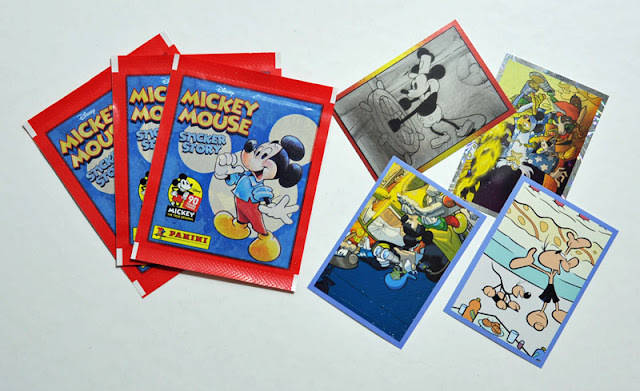 I've already made two previous posts showing things published to celebrate Mickey's 90th Anniversary. First the Norwegian weekly Donald Duck & Co had a special birthday story, and then I talked a bit about the amazing Mickey Mouse: The Ultimate History. 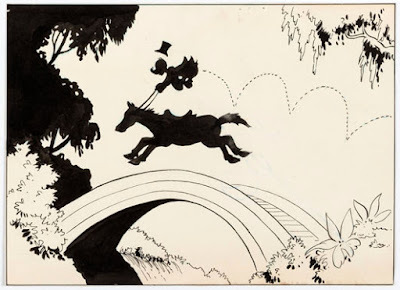 But there are more, so here is a post with some other comics celebrating the anniversary. From Fantagraphics we got a book with a selection of daily strip serials from the 30's, 40's and one from the 50's too – all stories drawn (partly or fully) by Floyd Gottfredson. 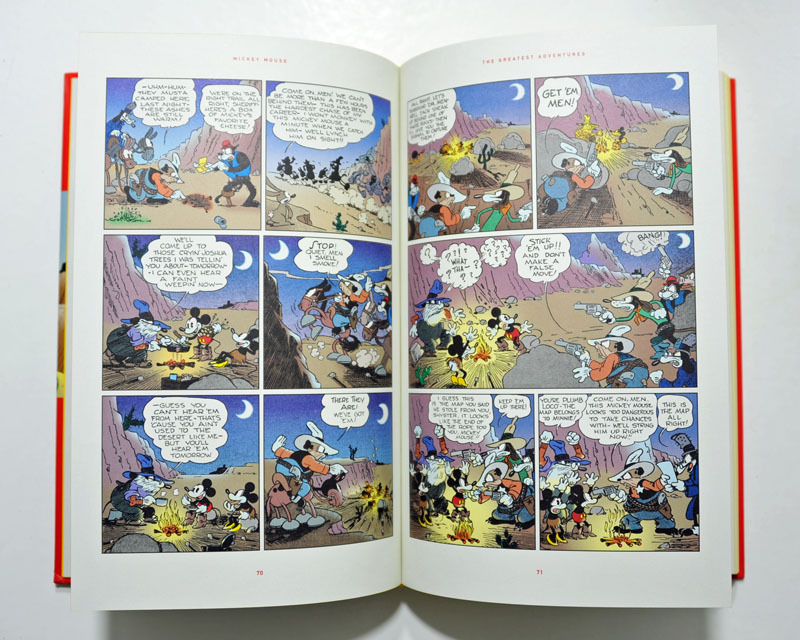 They are all previously collected in Fantagraphics' Gottfredson library, but here they are presented in color. The coloring and the different format makes it a different reading experience, and I'd say it's worth getting the book even if you have the library collection – especially for the first part where the panels are printed a lot larger. Also, I guess the book is aimed more towards casual readers not wanting a full library, and includes a couple of articles about Floyd Gottfredson and the Mickey strip as well. The book starts with Mickey Mouse in Death Valley that got a new splash panel for this print, based on the Columbia title card used in early Mickey cartoons. 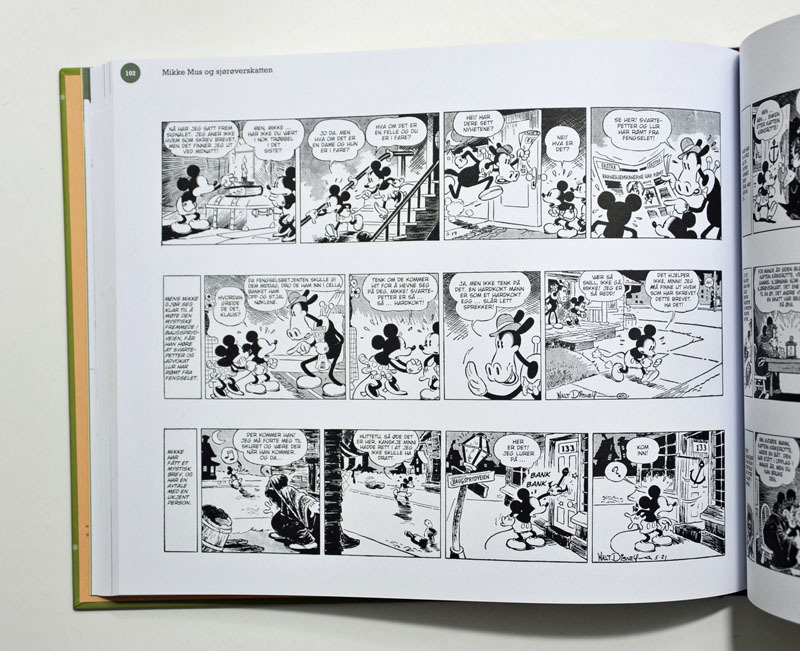 The early daily strips are created so they can be printed in two identical sized rows, making them easy to be printed in 3-row pages like in this book – without having to do any panel remounts. 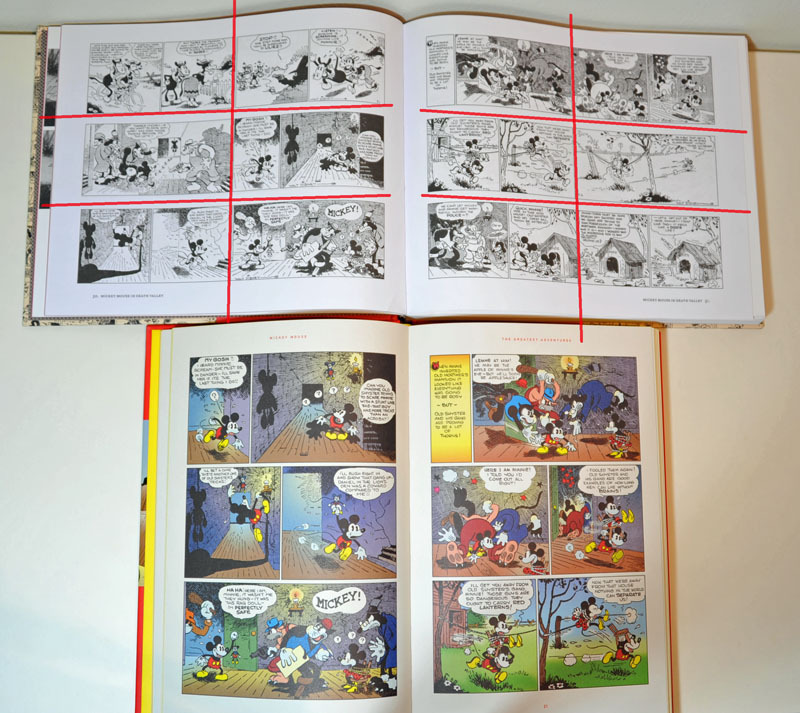 The Floyd Gottfredson Library (top) were I marked with red how the strips can be rearranged. Later strips are not created this way and are printed in four rows in The Greatest Adventures book, but with a more asymmetrical layout. I have mixed feelings about this, some pages look a bit messy I think – but it's a whole lot better than remounting the panels to fit. And when you get used to it, it's not too much of a bother. 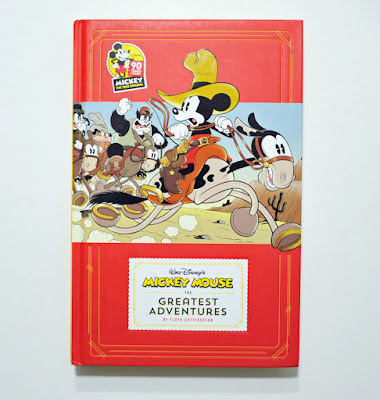 The stories inside have a mix of newly colored stories and coloring used by Gemstone in the past. We also have The Atombrella and the Rhyming Man, with panel layout and coloring done for Boom! 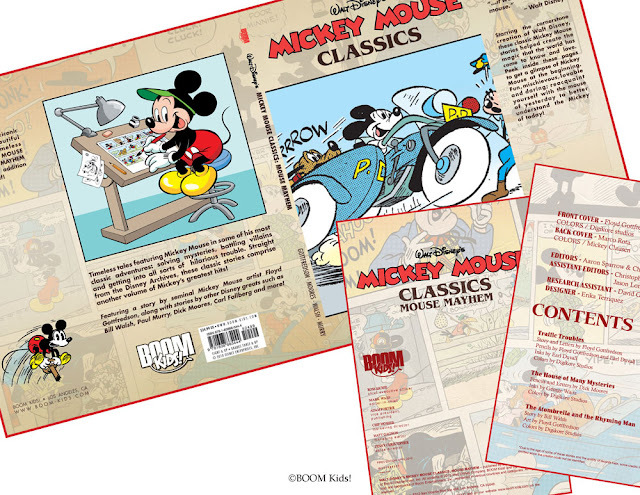 's Mickey Mouse Classic: Mouse Mayhem. This book got cancelled during printing and only a few copies got sent out to editors and probably never went into regular distribution. 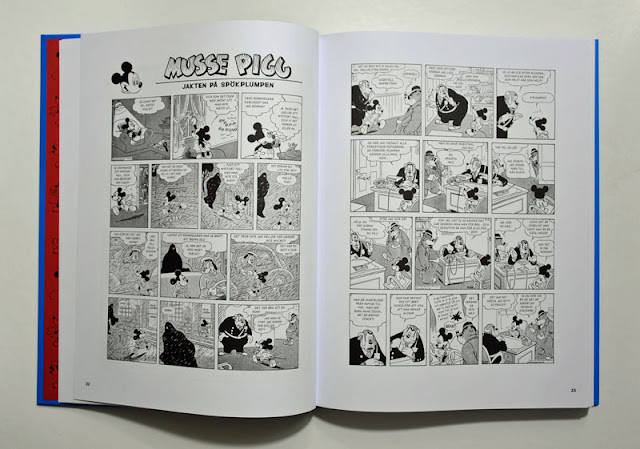 The same version of the story got printed (in French) in a Canadian book by Groupe Modus/Presse Adventure – but this is the first time most of us will see it on print. From Panini we got a sticker album for the anniversary. Normally this is not something I'm interested in, but this sticker album has a new comic story by Casty inside (!). 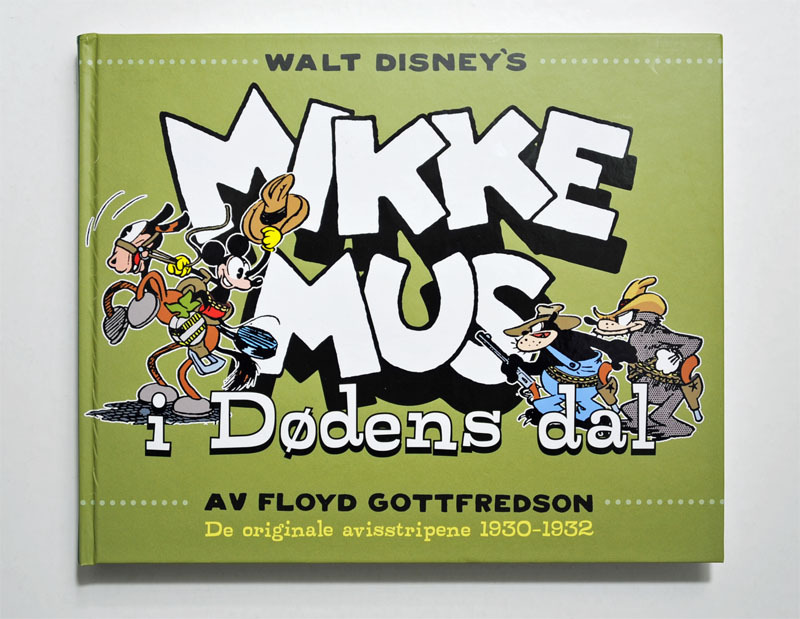 The album is published in several countries around the world including Italy, Brazil, Germany and Poland – but I got the British version as that one is printed in English. 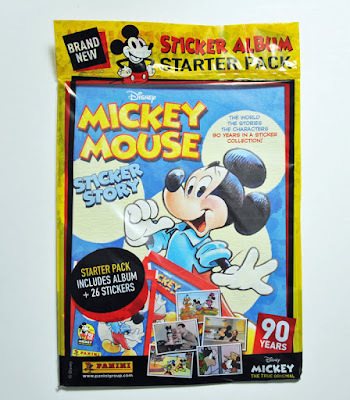 The one I have was sold in a starter pack, which included a few pack of stickers as well. It doesn't look like any of the stickers have any text, so I guess you can use stickers sold in one country in an album sold in another. 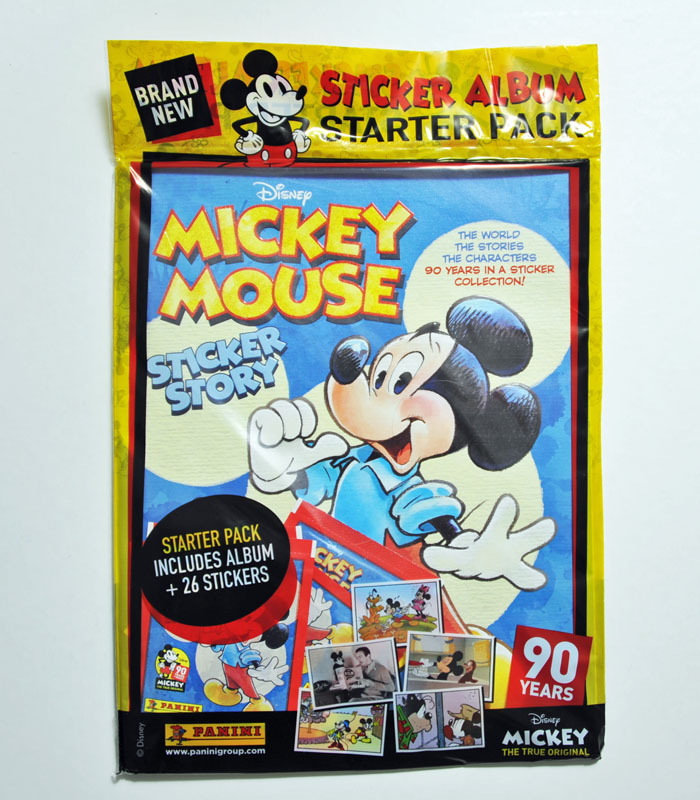 The stickers also have random Mickey-logos on the back suggesting it's not a special print for the British album. 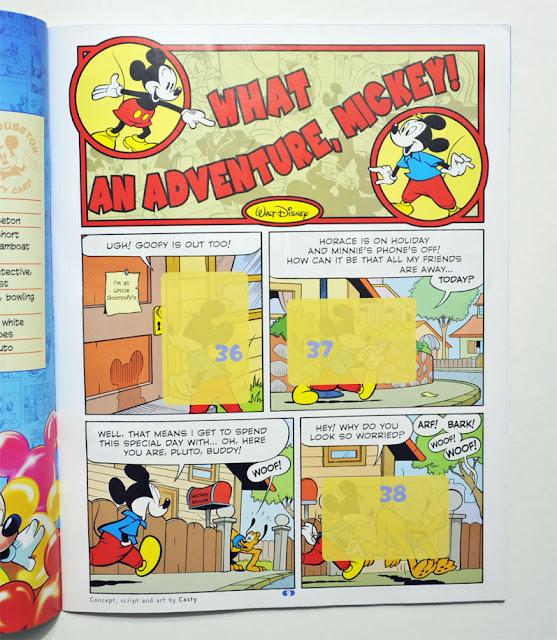 Inside we have several less interesting gallery sections, but the most interesting part is the 16 page comic story What an Adventure, Mickey!. 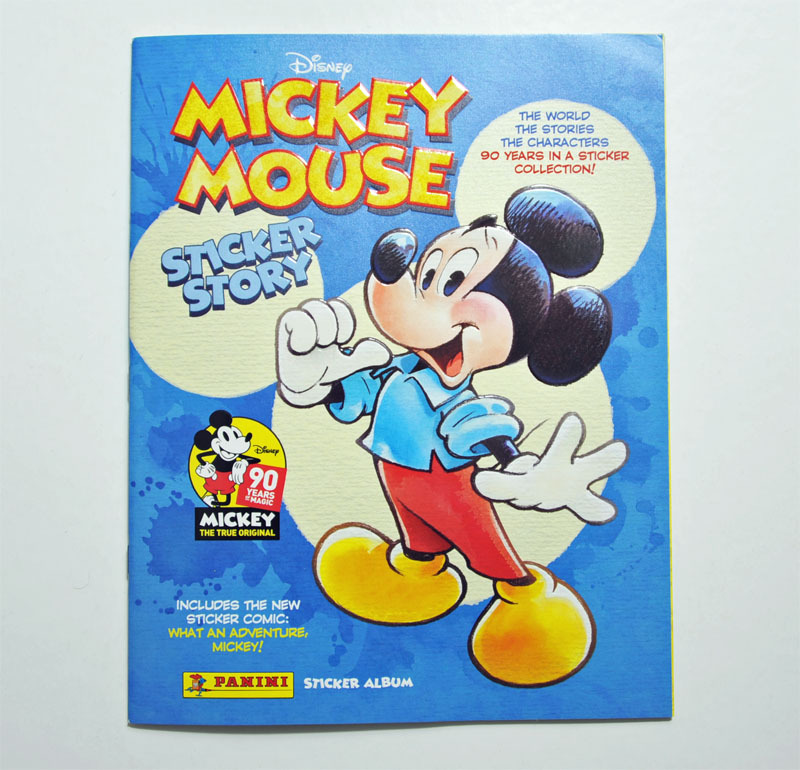 Even if you don't collect all the stickers it's perfectly readable, and it's a fun little story with a lot of Casty madness and references to old Gottfredson stories. But apparently they didn't know that Ellroy now have an English name (first seen in IDW's Mickey Mouse #12), as the Italian name is used here. 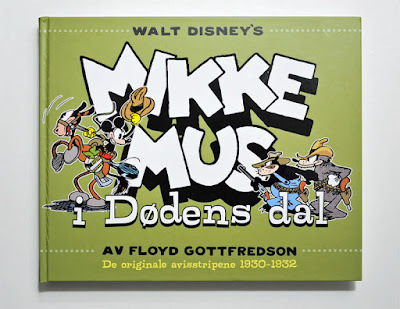 Swedish readers got a nice compilation book with everything from old newspaper stories, a couple of Murry stories, Scarpa and newer Egmont stories (check out a full listing in the inducks database). The daily strips are in black and white, while most of the book is in color. As we can see in the example from Mickey Mouse Outwits the Phantom Blot, this book have remounted panels to make it fit the layout instead of doing it like Fantagraphics did in The Greatest Adventures. 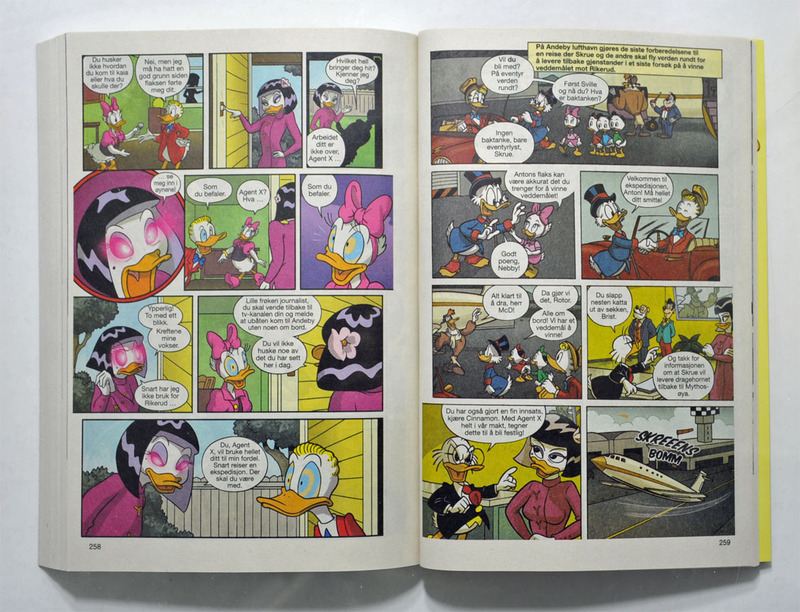 We also get several interesting articles with background information inbetween the comic stories. The book has the same kind of design as another anniversary book celebrating 70 years of the weekly comic book, making them great next to each other on the shelf. 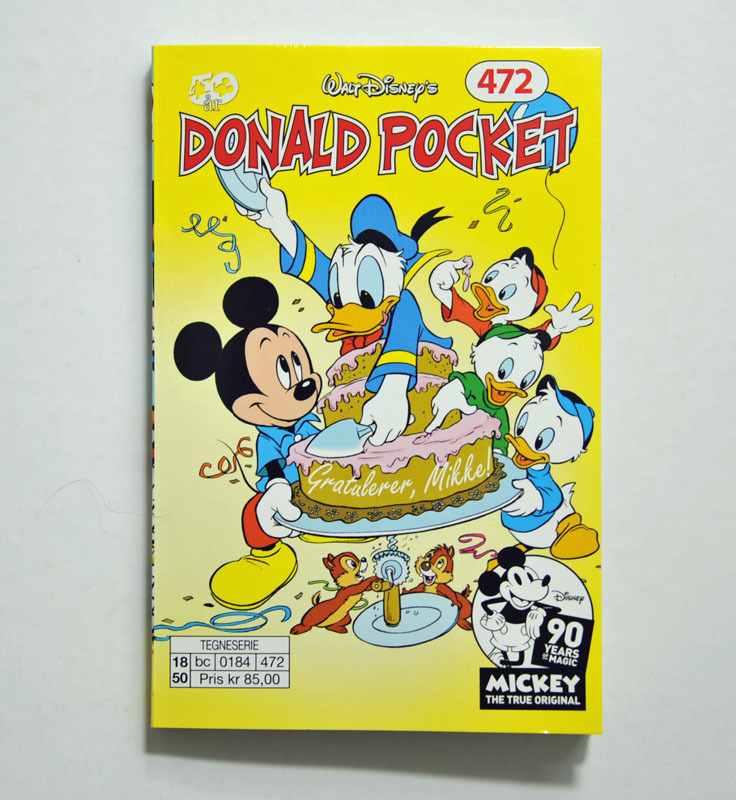 The monthly Donald Pocket in Norway also had an issue to celebrate the anniversary. 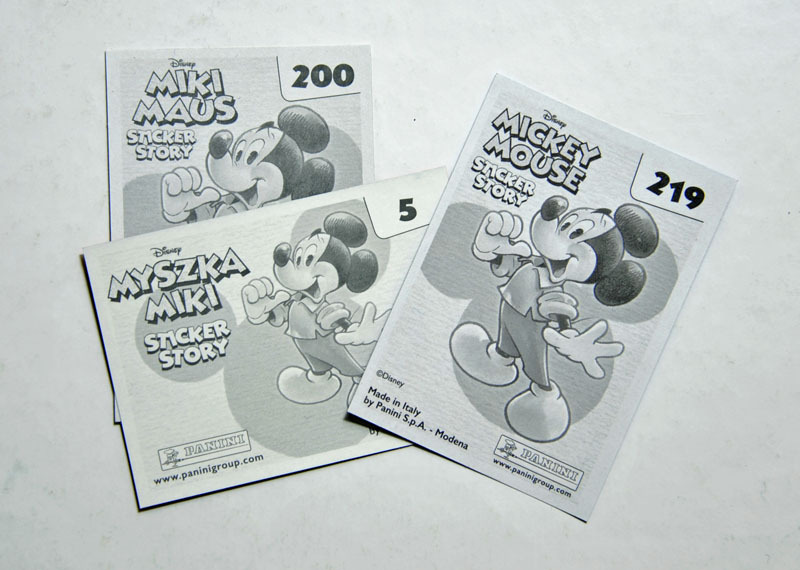 Inside we have two special anniversary stories. One is a new Egmont story written by the McGreal's and drawn by Fecchi. But we also got a Mickey Mouse parody of the Metropolis movie, from the new series of Italian parodies. 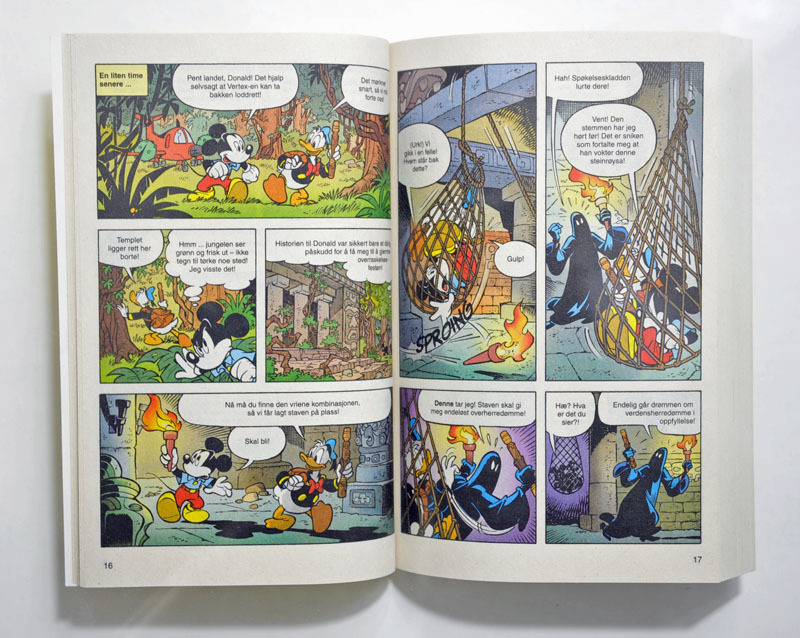 Also a great read, but I don't like reading these stories in the pocket format… they need proper paper with better color printing and in a larger format! 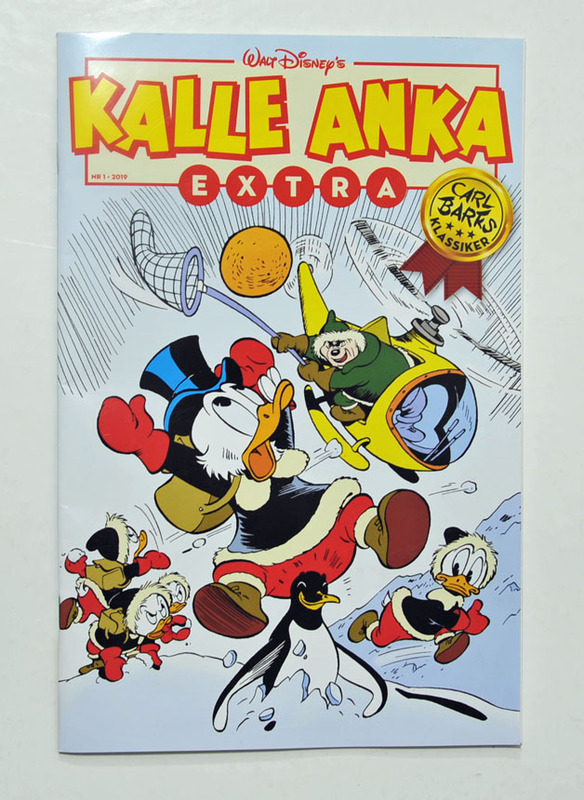 The Norwegian Donald Pocket is a coproduction with other countries, so we have the same book in ex. Sweden, Denmark and Germany too. 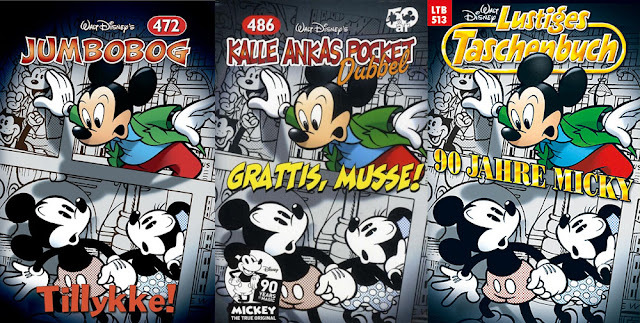 But for some reason the Norwegian editors apparently doesn't think a Disney comic will be a hit unless they throw a Donald Duck logo, or just "something" Donald on the cover… We've seen this on lots of occasions – and in this case they replaced the great Casty cover with a generic birthday cake cover with Donald on it! The book would have looked sooo much better with the Casty cover! 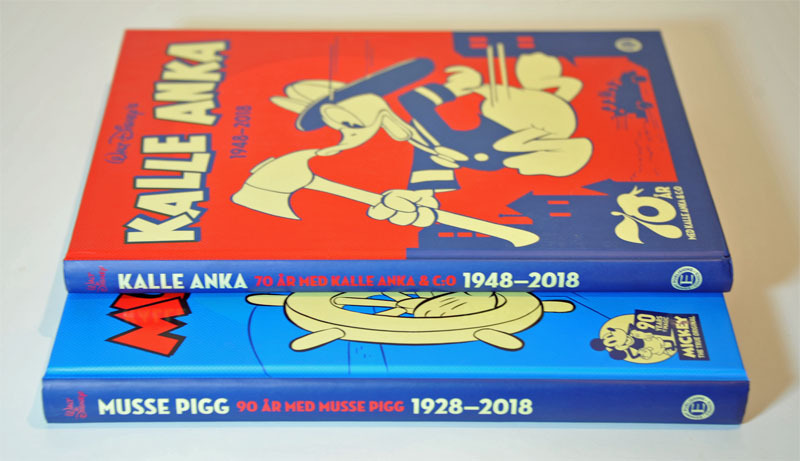 IDW is a bit late to the party, but has two books planned to celebrate the anniversary. 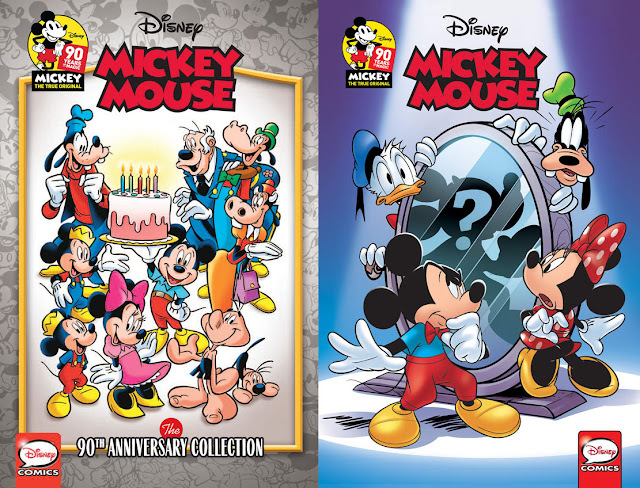 Mickey Mouse: The 90th Anniversary Collection is scheduled for an early January release, while Who Is Mickey Mouse? won't get on sale until June next year. The first one looks like will be a compilation of classic stories by Gottfredson, Murry, Scarpa and also Casty. But from the Amazon description of Who Is Mickey Mouse? it looks like that one has a completely new story.